Whether you lack the time or you don’t have the motivation to clean at home, there is always an alternative to letting your place become a mess. There is always the option to hire Top London Domestic Cleaners. Our company provides domestic cleaning in Hampstead and many other London areas. We are experts in any kind of cleaning services that is performed at home. By employing top solutions and proven techniques, we can help you keep your home in top shape, without you even lifting a finger. Our company is notable for our efficient domestic cleaning in Hampstead and the whole of London. There is nothing better than coming back home from work to discover a clean and refreshed environment. That is why we have made our domestic cleaning services accessible to everyone. Since our services are so easy to hire, many people in Hampstead have already taken advantage. It is a good idea to get some info on everything that we offer by calling our customer support team at 020 3322 8143. 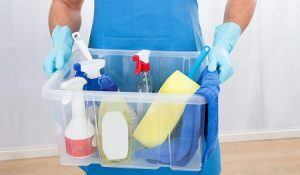 In doing so, you will learn how our domestic cleaning service is performed and how you can benefit from it. Don’t hesitate for a moment longer – you can now have the best cleaning available in the entire capital! You may fear that our great domestic cleaning service comes with a hefty price. However, once you hear out a free quote on 020 3322 8143, you will find that is hardly the case. Our rates are kept deliberately low so that more people can actually take advantage of our work. That means you get to experience our great cleaning service without any problem for your budget. Additionally, you will find that it is super easy to communicate with our customer representatives and that you can quickly arrange for our services at a time that is entirely convenient to you. So call us now and you will thank yourself for the decision later. Hampstead is one of the London areas that have both superb outdoor options and rich properties. According to official statistics, Hampstead has more millionaires than any other part of UK. But it is not just the rich and famous that are drawn to this area. Visitors from all over the capital come to enjoy the hilltop views of London and spend some time in the great outdoors of Hampstead Heath. This vast 790 acres woodland is full of many swimming ponds, which are accessible in the summer. There are also playing fields, meadows and woodland that can satisfy every outdoors fan. The views from Parliament Hill are unforgettable. The area also has great shopping locations and restaurants for people looking for some fun. Our professional domestic cleaning in Hampstead is provided on excellent client-oriented conditions and affordable prices. Get a free quote today on 020 3322 8143.